If you think offices are boring dull spaces where employees hunch over their desktops in lonely cubicles, think again. From futuristic walkways to bold coloured facades, these workspaces are not only aesthetically pleasing, but also fitted with eco-friendly systems, in some examples. 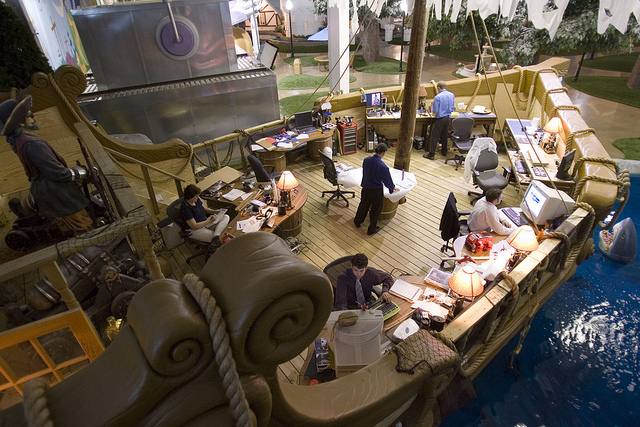 Here are 10 cool offices from all over the world that you can use as examples to persuade your boss so as to make some changes where you work. Corus Quay is the headquarters of Corus Entertainment, a Canadian media and entertainment group. The waterfront office building overlooks a port and is fitted with eco-friendly features such as a five-storey green wall. Inhabitat reported that the green wall also serves as a bio-filter and the building uses recycled materials and re-uses rain water to reduce water and energy consumption. Visitors are greeted by a three-storey indoor slide that spirals down into the lofty atrium. Furniture and walls are brightly-coloured, fitted with large television screens and employees have meetings at boardroom tables that are shaped like hockey rinks. Energy recruitment specialist, Spencer Ogden, has previously appeared on local media as having one of the coolest office spaces in Singapore. Besides its Astroturf flooring, reclaimed wood round tables, and American-style diners, the firm announced the opening of its new signature office space on Jan 22, 2015 with added facilities for leisure. 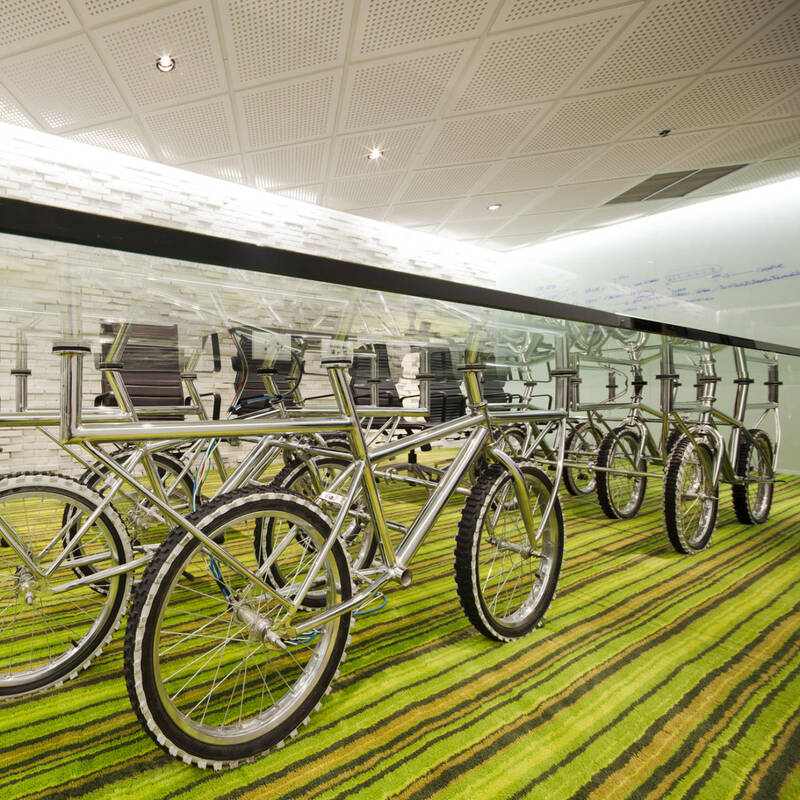 The $1 million office space, which will house more than 123 executives, has table-tennis tables, foosball, basketball hoops, bicycles and even rickshaws to keep its workers energised while they work. When alternative clothing company, Comvert, transformed an old abandoned cinema into their new headquarters, it turned out to be the perfect space to flaunt their street cred. The building was large enough to house all their offices, warehouse spaces and a shopfront. Since the building used to hold a cinema, Yahoo reported that Comvert installed an indoor skate bowl above the warehouse, fully maximising the tall ceiling height you get in all movie theatres. Think Batman's underground cavern, or Harry Potter's Chamber of Secrets. 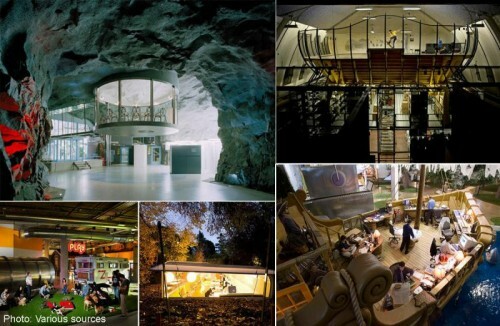 Swedish internet service provider, Bahnhof, turned a former anti-atomic shelter into one of the most brilliant office spaces in the world. 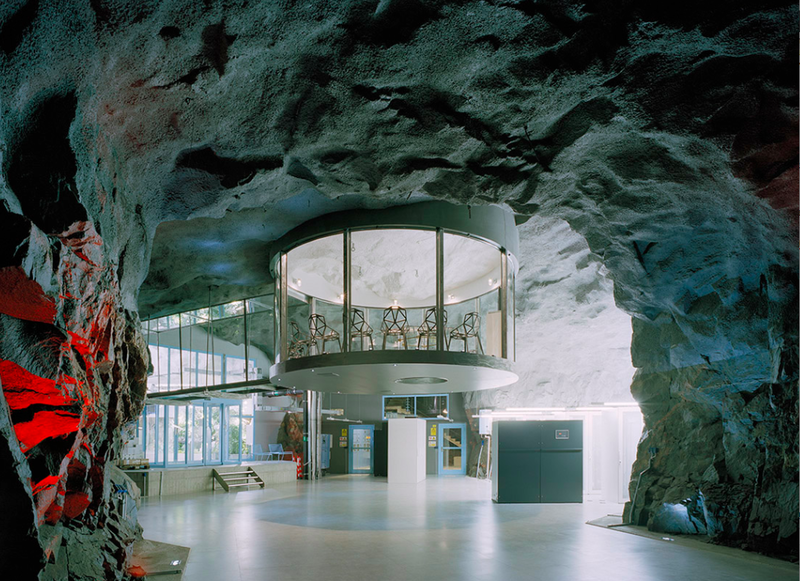 Known as the White Mountain Office, or Pionen, the data centre is located 100ft below the surface of Stockholm and covers around 4,000sqft. Archdaily said that the underground office may be blocked off from surface light but it still manages to run its indoor greenhouses with simulated daylight. It features a huge salt water fish tank and has two back-up power generators, which are actually submarine engines. The architecture firm has created its own design genius of an office by half-submerging a simple tube into the ground. The office has a long glass window that extends to half of the ceiling. The minimalist design not only allows sufficient sunlight to enter the tube, it also eliminates the need for air-conditioning in the hot Madrid climate as the ground is insulated against heat, said The Guardian. 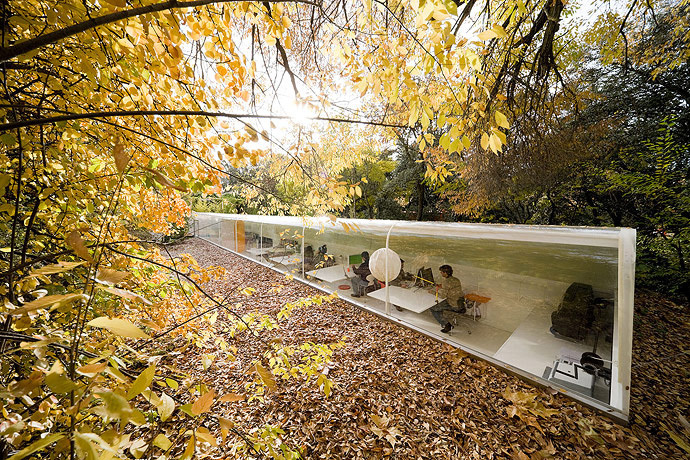 The glass tube is surrounded by trees and employees can reach the office via wooden walkways. Although spartan and basic, the office comes alive at night with the warm glow of ceiling lanterns spilling into the park. The 70,000sqft facility is the corporate headquarters of Davison Design & Development, and according to founder George Davison, "home to the largest invention factory in the world." Office Snapshots visited the Pittsburgh facility and found out that employees are called "Creationeers" who get to wear lab coats while they work in state-of-the-art sound/video/animation studios and fully-equipped workshops where they create working prototypes of inventions. The facility features 15 different themes that range from pirate ships, race tracks, and faux caves, to red carpet walkways, a castle, or a giant robot. Zynga is a social games services provider that sure knows how to bask in the glow of its own creations. 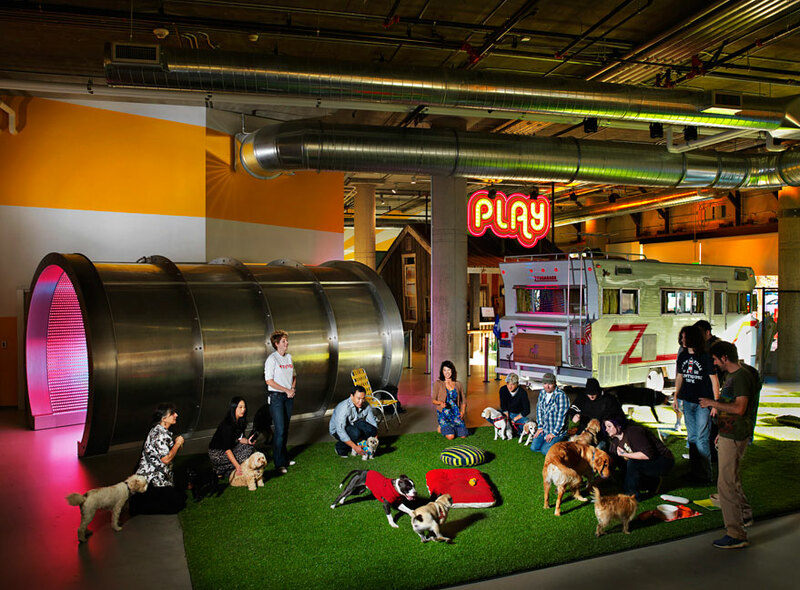 According to Business Insider, the San Francisco headquarters is dog-friendly and has futuristic neon-lit tunnels and arrows pointing employees in the right direction. The office houses 1,700 people who, when not developing gaming software at their open desks, are chilling out at the various food stations or shooting zombies at their full-scale gaming arcade in the basement. 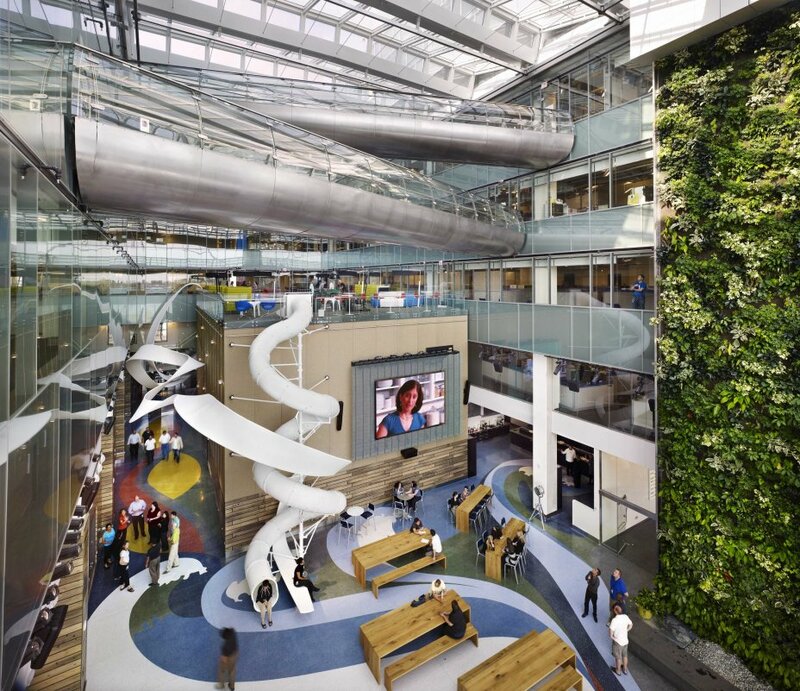 Google, the world's giant search engine, is also famed for its interactive and amazing office spaces around the world. 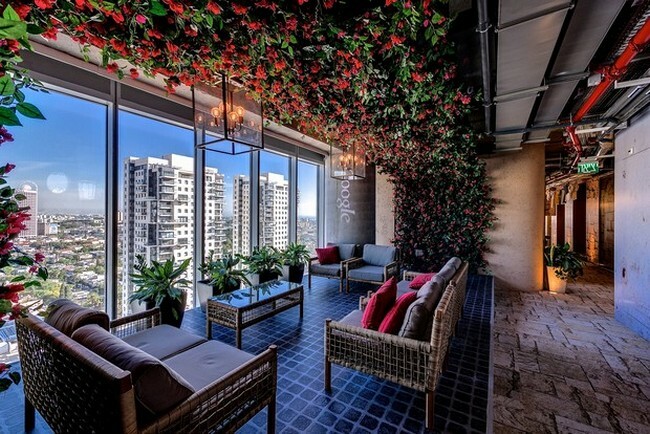 The Huffington Post reported that the Israeli headquarters comes with a cozy jamming studio with colourful armchairs for employees to snuggle in, a large gym that overlooks the cityscape, cable car booths for private meetings, comfortable sleeping pods, slides and themed boardrooms that range from the desert landscape to quaint English countryside cottages. The firm occupies seven floors and each level is designed to illustrate Israel's diverse demographic. 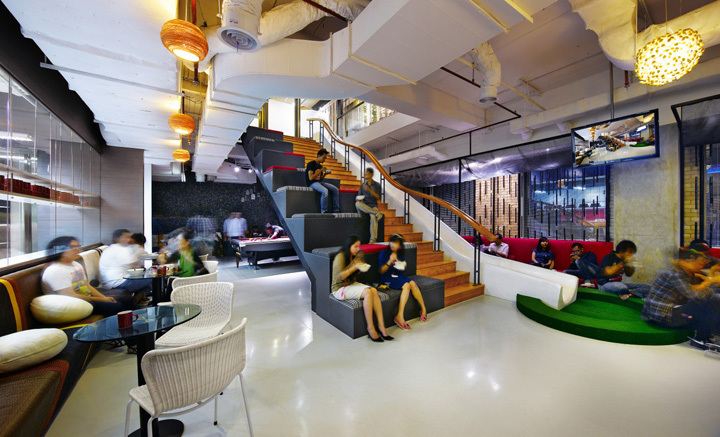 Global advertising firm, Ogilvy & Mather consolidated their various Jakarta offices into a single building to create a seamless working environment. Indesign found that the office is segregated into two spaces - a large central location for townhall meetings and various private sleep pods, and dimly-lit narrow rooms for small meetings. Boardrooms are not enclosed but have glass and half-walled partitions to the main corridor for that added spacious look. The office is designed in a contemporary resort style with "silk cocoons" suspended over lounge chairs and the reception table. Timber-based furniture can be found throughout the office, adding once more to the luxuriant resort vibe. The best part? Employees can literally slide into a large cafe. The advertising agency's Thailand headquarters is pumped full of quirky and fun elements that revolve around the theme of action and mobility. Urbanpeek said that Bangkok-based design firm, Supermachine Studio was commissioned to turn the tight office space with an economical budget into a space that is "genuinely fun to come to everyday."